Paul Tarins, RICP®, WMCP®, CSRIC™ president and founder of Sovereign Retirement Solutions has been a resident of Central Florida for over twenty five years. He received his bachelor's degree in Economics from Florida State University. 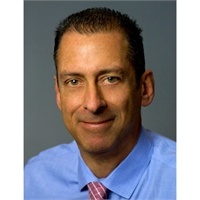 He began his career in 1998 acquiring experience in the financial services profession ranging from working for major financial institutions to working with smaller boutique broker dealers. This developed into a vision of owning a business that focused solely on providing honest, simple financial advice. The advice he provides is focused on a philosophy of sound and conservative principles that utilize a wide variety of financial products and services with a focus on cost efficient portfolios, asset distribution, and wealth preservation. As an investment advisor representative of Portfolio Medics, Paul acts in a fiduciary capacity, meaning he accepts fiduciary responsibility by acting in the legal best interest of his clients and putting his client's interests always ahead of our own. Paul is a fully licensed Insurance Producer in the State of Florida. He has completed all course work for the Retirement Income Certified Professional designation through the American College of Financial services.